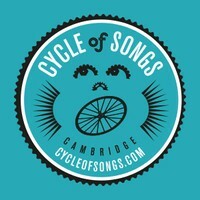 Cycle of Songs is an Arts Council England funded project commissioned by Cambridge City Council, devised by the award winning Pilot Theatre and Historyworks to mark the Tour de France visit to Cambridge on 7th July 2014. Nine pieces were commissioned from a wide range of composers and poets, inspired by historical research devised & shaped by Helen Weinstein & based on original sources of fascinating & quirky stories at iconic places in the heart of Cambridge. This project showcases astonishing heritage storytelling and shows the creative talent and diversity of Cambridge by including thousands of local people of all ages sharing their history and celebrating the city in song and poetry. Enjoy!